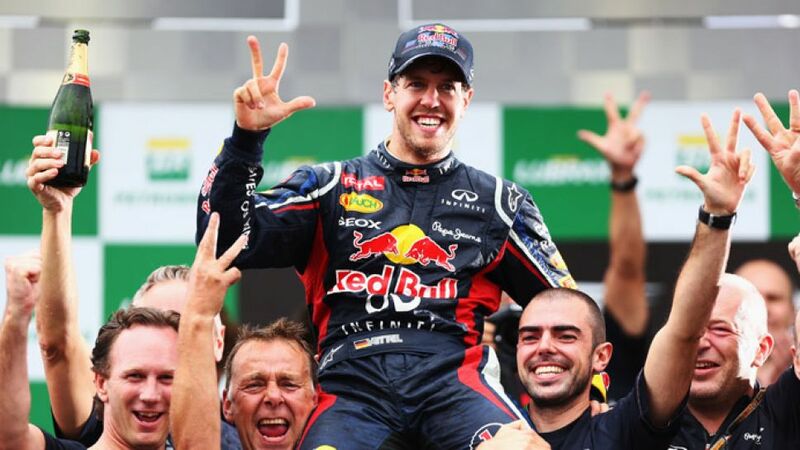 Melbourne - As Formula 1's youngest ever three-time world champion, Sebastian Vettel is a man accustomed to success. With the 2013 championship getting under way in Australia this weekend, the 25-year-old once again demonstrated his prowess by dominating the practice sessions on Friday. Alongside his chosen profession, the Red Bull driver also has a passion for football, and Eintracht Frankfurt above all. In an exclusive interview with bundesliga.com, Vettel talks about the Eagles' remarkable season, and how he stays on top of the Bundesliga latest from afar. bundesliga.com: Sebastian Vettel, how do you keep up-to-date with the Bundesliga, with all the travelling you do? Sebastian Vettel: I usually check on the internet. It's often not easy to watch games on television due to the time difference. When we're in Europe we race on Saturdays at the same time as the league programme, but obviously if there's a big game then I like to watch the highlights. Otherwise, I can get the summary on TV or the results on the net. bundesliga.com: Is there much football-related banter among your fellow drivers or in your team? Vettel: I usually talk to my German-speaking colleagues about football. But the team's mainly made up of English people and they don't really follow the Bundesliga. bundesliga.com: You're an Eintracht Frankfurt fan. How did that come about and how has your support changed over the years? Vettel: It started because they're close to my home. Eintracht Frankfurt are the only Bundesliga club in [the state of] Hessen. That aside, they've been the most successful team in the region for years. Of course 1899 Hoffenheim are around now too, but Frankfurt were always the go-to club if you wanted to watch a Bundesliga match. That's how the connection with Eintracht started. Over the last few years I've got more and more interested in the Bundesliga, which is why I know my team a bit better. bundesliga.com: How do you celebrate Frankfurt's successes or deal with the setbacks? bundesliga.com: What are your hopes for Eintracht going into the season finale? Vettel: I wish them all the best and hope they can finish fourth because then they'd have the chance to qualify for the Champions League, which would bring in extra revenue. That would obviously help a club like Frankfurt. bundesliga.com: What do you make of FC Bayern sweeping all before them this season? Vettel: Bayern are having a great season. They've got an unbelievably strong and they're playing the best football right now.